PKP IC wants twenty new electric locomotives and has issued an EU tender for the procurement. All the new machines should be delivered within 30 months after awarding the contract. The maximum speed of the new electrics should be 'not lower as' 160 km/h. PKP IC also demands a technical availability of 95% from delivery until the Level P4 overhaul. The reliability of the fleet should also be 95% per quarterly. The 'loss of essential operating characteristics' should not occur more than 3 times per locomotive per 250.000 km. Next to the 20 locomotives in the base order, an option will be taken on ten more units. Bids can be submitted until 30.09.2017 10.30 local time. 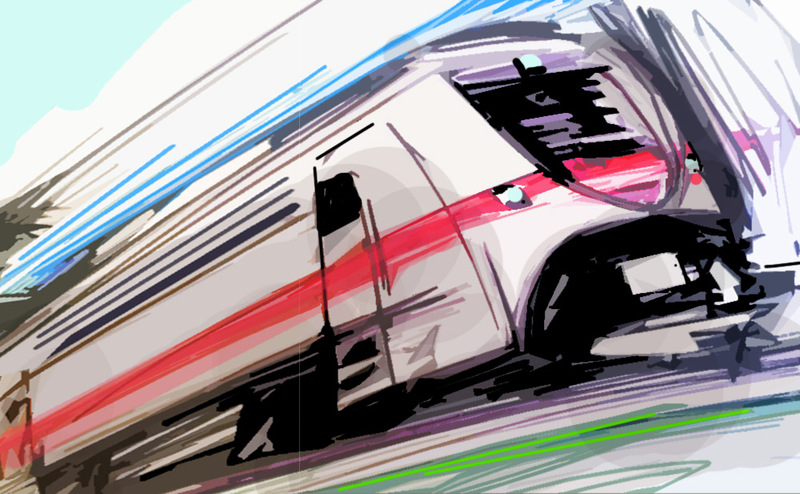 Railcolor: The fleet strategy of PKP IC is subject of many changes over the past years. Last year it was announced PKP IC was planning to procure forty new machines. Although the arrival of new EMUs (Dart from Pesa and Pendolino from Alstom) has reduced the number electric locomotives needed for revenue services, PKP IC has to invest properly in new rolling stock (and modernization) as its fleet of electrics is old and outdated. Railpage.net reports: The Slovakian state railways (ZSSK) announced it will start a tender for new electric locomotives. This time hiring new units is also considered an option. The new machines must have ETCS installed and a maximum speed op 160 km/h. ZSSK has also evaluated the modernization/modification of existing locomotive types (350, 361 and 381) but it believes that it is better to invest in new machines, as they are more efficient and cheaper in maintenance. ZSSK launched a tender for 6 (+10) new locomotives in 2014, but cancelled it in 2015 as all bids that the company received exceeded the available budget. In March 2016, ZSSK already announced it was planning on a new tender. The German railways (DB) are renewing their fleet for long distance traveling. We are just months away from the start of serie-delivery of the new ICE4 trains, that should enter revenue earning service next December. Some sets are already in 'test service' now between Hamburg and Munich. Now DB has released a new tender for a framework agreement for newly built "Zugverbänden (Lokomotiven und Wagenzüge)": train compositions (locomotives and loco-hauled rakes for passenger services). They need to be single-deck and operable in Germany, Austria and "other European countries". Manufacturers can apply independently or as consortium. Also, the manufacturer(s) must have produced a mainline train type that has been fully approved for Austria and the Netherlands Germany, Austria or the Netherlands during the past five years. It/They should have production capacity for at least twenty trains per year, starting in 2021. One composition should have at least 485 seats. Earlier this week we released the news that the Italian railways have ambitious plans for their rebranded freight and logistics department, Mercitalia. TX Logistik, being part of the Mercitalia group, will profit from the new investments and plans to acquire 45 new electric locomotives in the next five years. Today TX Logistik released more details on their new fleet strategy, that will soon be based on owning a considerable part of its fleet, in stead of leasing/hiring locomotives form others. The new multisystem electrics will predominantly be operated on the north-south corridor Germany - Austria - Italy. On this route, TX Logistik is currently making around 60 'rounds' every week. Optionally, some new locomotives will be equipped for Switzerland and the Netherlands. TX Logistik plans to finalize the order in 2017. The delivery of the new locomotives is planned for 2018-2020. All machines will have ETCS on board. The system will be prepared fur upgrade to baseline 3. Close-up of a ČD 380 series locomotive by Norbert Tilai. Early 2016, České dráhy (ČD) issued a tender for leasing multi-system electrics, without success. On December 17, a second attempt was made, again for 10 electrics, again without result. On 21.02.2017, ČD has released a third tender for the lease of ten electrics. Railcolor: ČD is in need of faster locomotives than it currently has, to be used on the relation Prague - Hamburg for example. ČD does own multi-system electrics, but none have a topspeed of 200 km/u. The ČD 380 series electrics technically meet the requirement, but the German authorities do not allow them to run at speeds of 200 km/h. Ferrovie.it reports: Today, FS Italiane has presented its plans for Mercitalia, the new umbrella brand for the group freight and logistics operations. FS Italiane wants its unprofitable freight division (70 million euro loss in 2016) to make money again, with the help of private investors, and by ordering new rolling stock. In ten years, the turnover of the Mercitalia activities should be doubled, from 1 billion euro now to 2 billion euro in 2026. Mercitalia is comprised of seven companies that will employ around 4.000 people, being Mercitalia Rail, TX Logistik, Cemat, Mercitalia Transport Services, Mercitalia Terminal, Terminal AlpTransit (TerAlp) and TLF. Updated: TX Logistik and Mercitalia Rail have issued a non-binding call for expressions of interest (EOIs) for a contract to supply and maintain up to 125 electric locomotives. The expiration date is 17.03.2017. Deliveries of locomotives for both operators will begin in the third quarter of 2018, with a minimum of two locomotives per calendar month. The locomotives must be fully homologated at the date of first delivery. Railcolor: It is clear that FS Italiane has to rejuvenate its fleet quickly and drastically, to keep up with competition. Domestic railfreight services are still the (almost)exclusive domain of electrics and diesel locomotives inherited from the time there was no open-access freight transport in Italy yet. Using the E403 for freight trains, and the hiring of MRCE / SBB Cargo International / Akiem locomotives can not be seen as structural solutions. TX Logistik, that is operational in many European countries now, does have a modern locomotive fleet, but almost all are hired from lease companies. If the EOI materializes in a final order, it will drastically change the fleet strategy of TX Logistik. Wanting fully homologated DC and MS locomotives by the end of 2018, narrows down the choice for Mercitalia/TX Logistik considerably. By then, only Siemens' Vectron (191 and 193) and Bombardier's TRAXX platform (186 and 483) will meet this demand. Montenegro wants to privatize its railfreight company 'Montecargo' and it has now made public that OT Logistics from Poland is the only bidder. Montenegro has published a public tender for privatisation through the sale of 51% of the shares of Montecargo, with the possibility to subscribe new shares through capital increase and the right to purchase the remaining shares owned by the State of Montenegro and state institutions in accordance with the tender terms. According to binding offer, the total price offered by OT Logistics for 51% of shares amounts to 2,500,000 EUR. OT Logistics has also offered the implementation of an investment program, which includes the purchase of two multi-system locomotives Siemens Vectron, locomotives and related IT solutions, in total amount of 2,55 million euro. Business Plan envisages a significant strengthening of the company's position in the sector of international transport and logistics by achieving the leading position in the Baltic - Adriatic corridor by increasing its market share up to 50% on the market of reloading agricultural cargo in sea ports as well as by doubling freight of Montecargo. The bidder has made the commitment to comply with the General, Branch and the Collective Agreement for a period of at least 3 years. The company OT Logistics was also the only bidder on the tender for sale of 30% shares of "Luka Bar" AD Bar. In cooperation with the elected Adviser and in accordance with the defined procedure, the Commission will assess the legal validity, bidder’s eligibility and the fulfillment of required conditions set forth in the public invitation and tender rules. Update: The 26 locomotives of the base order (DK) are for push/pull traffic with DSBs Bombardier Dosto2003 coaches (DSB has 25 cab cars). One option is for 6 additional DK-only locos, similar to the 26 above. However, interesting is the second option for twelve locos for potential international traffic to Germany (DE+DK). The contract will include maintenance for 10 years (+option of 1 or 5 years). This will be performed by DSB at the DSB workshop in Copenhagen, under guidance and responsibility of the supplier. 6-7 locos must be in service in December 2019. Rail Business report: FS Italiane (mother company of the Italian state railways) is planning to order modern, multi-system electrics. The machines are to be used for domestic (Mercitalia Rail) and international services (TX Logistik) as well. A number of 100 locos is mentioned. TX Logistik already operates a very diverse fleet of multi-system locomotives (most of them leased from one of the bigger lease companies in Europe such as ELL, MRCE, Alpha Trains, Railpool). But Mercitalia Rail is still predominantly using old DC electrics. Exceptions are currently several 484 seriess machines hired from SBB Cargo and the relatively new E403 series, that however were not designed for freight services. 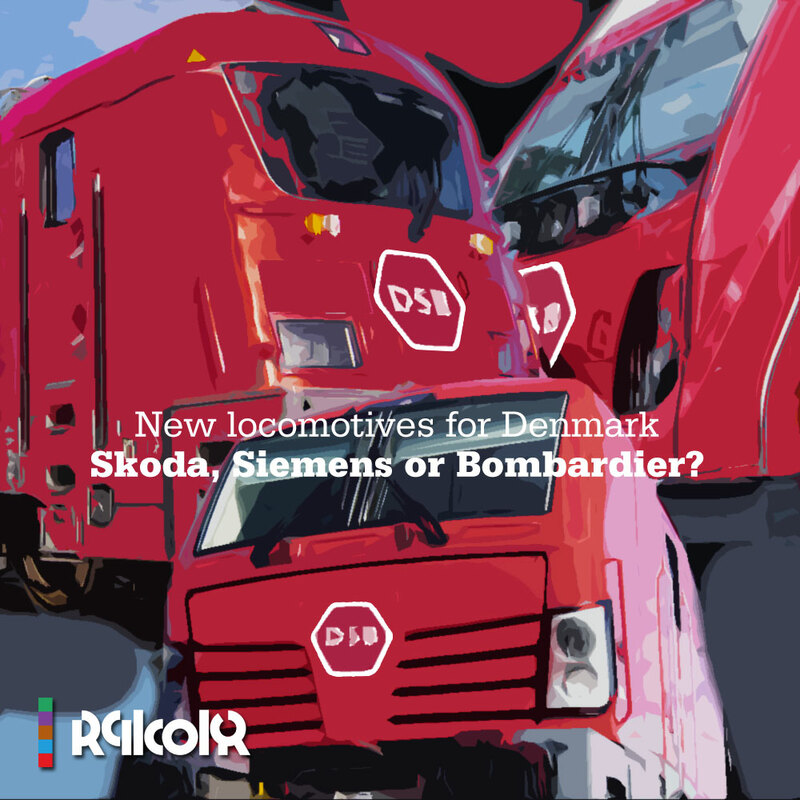 Today the Danish state railways (DSB) published that its board of directors have approved the plan for the purchase of 26 new electric locomotives. These will replace the locomotives currently used pulling DSB's double deck trains (type Bombardier Twindexx, now mostly pulled by the ME diesels) and they will pull regional trains in the Sjælland area. The new machine should be of a standard design, which has already proven itself in everyday service. This autumn DSB wants to commence the selection procedure. The first new electrics then should arrive in 2020. The order is a first step in reducing DSB's dependency on the unreliable IC2/IC4 electric diesel trains and increasing the number of electric trains in the country. New electric articulated trains will be purchased too. Interesting news from rynek-kolejowy.pl: The new management of PKP Intercity has decided that modernization of existing locomotives is not the only way to go. The long-haul passenger operator has a direct need for new electric locomotives too. Therefore plans are being made to purchase 40 new units, with a top speed of 160 kph. A tender is being prepared right now. The first new locomotives should be delivered by the end of 2019. True, CD does have fast multi system electrics in its fleet, the 380 series produced by Skoda. And yes, they are homologated for Germany and approved by the German EBA railway authority, but the German infrastructure manager DB Netz has put restrictions on their top speed. At this moment the machines are not allowed to go beyond 120 kph, making them practically useless for revenue services. DB Netz wants to know if the forces caused by the machines can possibly damage certain bridges in Germany. New measurements have been done are now being evaluated. To be continued. inforail.pl reports: The railways of Slovakia (ZSSK) want new 160 kph multi system electrics. However, tendering and bidding has not started yet. ZSSK wants to finance its new locomotives from its own resources. It is a second attempt to buy new electrics. In 2014 ZSSK already tendered for six electrics (+10 optional), but the process was stopped in 2015 after all bids received were above budget. 2015-09-30 [SE] New Traxx locomotives for Hector Rail? [SE] New Traxx locomotives for Hector Rail? It is only a hint, but zpravy.e15.cz brings the news that the Czech railways (České dráhy) is considering to order new electric locomotives. ČD would like to close a frame work agreement with a manufacturre for at least two dozen new machines. Their top speed speed should be 200 km/u. With this new rolling stock, ČD wants to strenghten its position on international train routes, for example to Poland. Freight operator ČD Cargo from the Czech Republic, continues its plan to procure multi system electric locomotives. They want to order five machines (with an option for three more) capable of running under 15 + 25kV AC and 3 kV DC and with a maximum speed op 140 kph. ETCS level 2 will be standard on all locomotives. ČD Cargo may acquiring the locomotives directly, or through financial lease. Both options are still open. All locomotives will allocated to the SOKV Ústí nad Labem depot. The railways of Slovakia (ZSSK) has decided to cancel their tender for 6 (+10 option) multi system locomotives. ZSSK wanted to invest 72 million euro (netto) in new machines in the next five years, but none of the offers received was within budget, with the lowest bid costing 78.4 million euro. ZSSK wanted four axle 200 kph locomotives for 25kV 50 Hz, 15kV 16,7Hz AC and 3 kVDC. The power rating had to be 6MW or more. Rynek Kolejowy reports: Siemens is the only manufacturer that has made a complete offer for the latest tender for new locomotives for PKP Cargo. Newag offered only four machines for services in Germany and Poland. PKP Cargo wants to purchase up till 20 new multi system electric locomotives (15+5 option) for freight services. There will be three sub series, with three different country specific packages: PL/DE/AT/CZ/SK/HU (8), PL/DE (4) and PL/DE/NL (3). In August 2016 the first two new machines should arrive. Last month already, eurailpress.de published the news that the Slovakian railways (ZSSK) are tendering for new electric locomotives. Now, railwaygazette.com brings some extra details. Read the tender details here. The railways of Israel (IR) are known as a loyal customer of big mainline diesel locomotives. It is an exceptional good customer of Alstom/Vossloh from Valencia (IR 700/800/1300/1400 series). But the IR now has adopted a 25 kV 50 Hz electrification program for its main network, so it is in need of new electrical traction power. Therefore it is calling upon rolling stock manufacturers to submit a bid for a comprehensive number of electrics (62 - 78 units and options for more). IR wants a proven locomotive design, to be used for both freight and passenger services. Click here for the details of the tender. Update: There are two reasons why GySEV wants new locomotives. They want to return the 1116 series locomotives they're currently hiring from the Austrian Railways. Secondly, they want to enlarge the fleet of electrics as more lines they are operating will be electrified (for example Szombathely – Porpác – Csorna). A break through in diesel paradise. 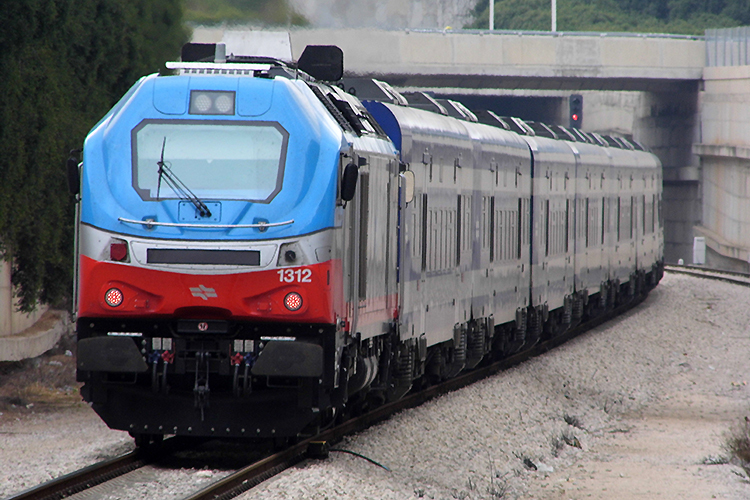 The Railways of Israel (IR) has launched the procurement process for its first electric trains. IR has estimated need of around 80 electric locomotives, that will be used together with the Bombardier Twindexx Vario and Siemens Viaggio coaches in push pull operation. IR prefers off the shelve locomotive designs, proven products. The railways of Serbia take their time to prepare an order for new multisystem locomoives. Now it has called a tender for 15 multi-system electric locomotives (3 kV DC, 25 kV 50 Hz AC, 15kV 16 2/3Hz AC). This invitation for tenders follows the General Procurement Notice for this Project, which was published on the EBRD website on 29.07.2011 and updated on 27.07.2012. By the end of 2014, the first units could be ready. The new machines will be financed with a 64 million euro loan secured from the European Bank for Reconstruction and Development (EBRD). DB Regio invites manufacturers to place an offer for new locomotives; It concerns a general contract for the delivery of 0 up to at least 250 units, to a maximum of 450 units. The final number of locomotives will depend on contract volumes of DB Regio in the near future of course.